The BluePrint Cleanse has gained a lot of traction since I first wrote about it a year ago. 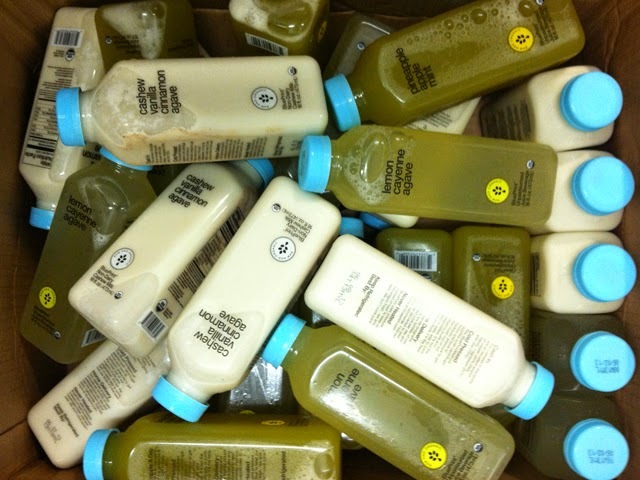 Recently, the juice cleanse franchise has expanded to numerous grocery stores selling individual juices from the cleanse. I've seen it at all the Whole Foods and Fairway in Manhattan, so I can only imagine it spreading. Being able to buy just a few juices and not the others from BluePrint was a great way for me to save some money. I knew that there were 3 different "levels" of the BluePrint Cleanse, the Renovation, Foundation and Excavation. The main difference between the three is the amount of green juice you drink. See a pattern here? 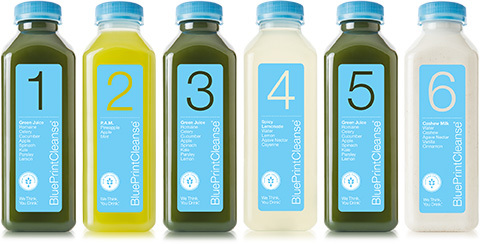 For someone newer to juicing, BluePrint makes it so you drink a good variety of juices, and for a true "Excavation" as they call it, it's green juice all the way! 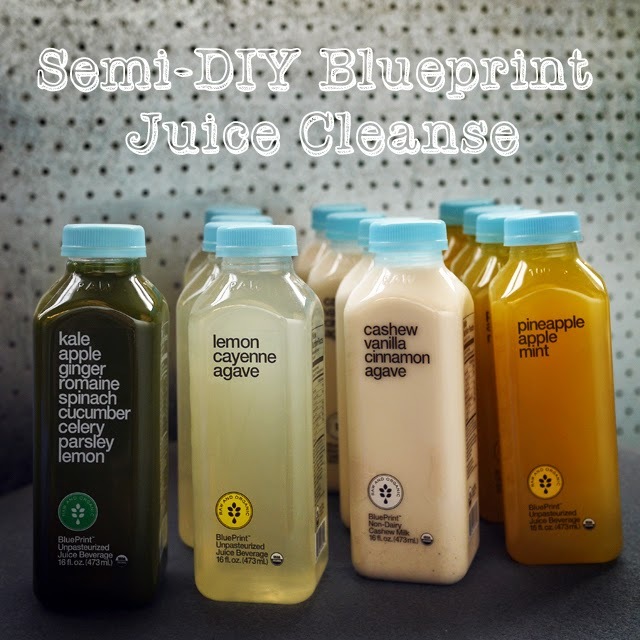 Knowing this, the Semi-DIY BluePrint Cleanse strategy for me was clear, make green juice and buy the rest. That way, we could "make" the green juice in bulk, and leave the variety to the folks at BluePrint/Fresh Direct. Pro-tip: If you've never ordered from Fresh Direct before, you can actually save $50 on your first order and get BluePrint Juice delivered to your door by using my referral link! Delivery is only available in certain New York neighborhoods. To check if they deliver to you, check this list. Also wait until the juices go on sale as it seems to pretty often! So now we got the other juices covered, let's talk a little bit about making the green juice. Full disclosure, my coworkers and I are very lucky people because we actually have free green juice available to us every day at work. As a result, we just had to buy the 3 days of the other juices and get green juice from work. Out of curiosity, I bought a green juice from BluePrint to see what their flavors were like. I found their version of green juice to be overly sweet (it has 25g of sugar, which equals about 2 full tablespoons!) and preferred the green juice served at work. The green juice at work includes: 1 cucumber, 3-4 huge leaves of chard, 1 apple, 3 stems of celery. What I did miss from the juice was the taste of lemon and ginger, so if I had to make my own, I would definitely add that to the mix. If you're looking for a recipe for Green Juice, I highly recommend this blog post I found talking about making Green Juice in a blender. Let's say if I did indeed make the green juice myself, I would estimate this Semi-DIY cleanse at around $110 - $20 for the veggies and another $90 for the juice itself. If you were trying to save more money on the cleanse, I would rank the Cashew Milk as the next one to make yourself because each bottle actually costs $12. Check out the recipe here. In my next post, I'll share with you my actual experience of doing the cleanse and how I felt on it. 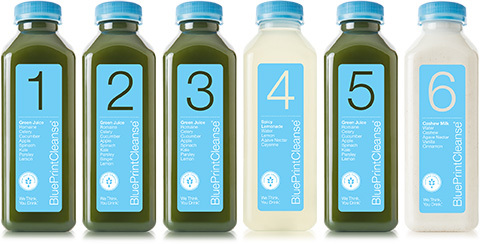 Check out Part 2 of this series: Life on the BluePrint Juice Cleanse.